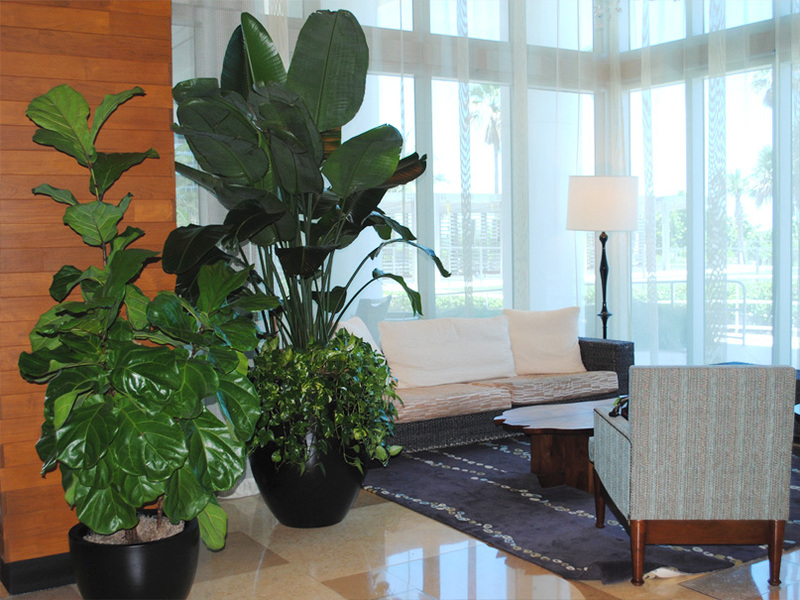 Tell us your interior landscape design vision and our plant care professionals will bring it to life. Our talented staff provides expert consultation, indoor landscape design, installation, service, and maintenance of both large and small-scale clients in Miami, Ft. Lauderdale, and all of South Florida including . We exchange ideas with our clients to gather ideas, provide solutions during the design process, and then achieve our clients’ goals according to their budget. Create a unique and effective indoor landscape design. We regularly work with property managers, interior designers, architects, office managers and residential clients, creating custom designs. From a tropical look to an architectural design. Let us come visit your space today and put together a program that will work for your setting and budget.